"Deepest sympathies to Manuela's family. I worked for many, many years with Manuela with the Migrant Program and always treasured my conversations..."
BROCKPORT/YUTY AND ASUNCION, PARAGUAY - On February 6, 2019 at age 99. Loving wife, mother, and “abuela.” Manuela devoted her life to teaching and helping others.She had a special love for the members of the migrant community in and around Brockport. She spent many years as a counselor and fierce advocate in the Brockport Migrant Education Program which she loved dearly.She had a deep faith and a special devotion to the Blessed Mother. She is survived by her son and daughter-in-law, Dr. Carlos and Ellen Swanger: grandchildren, Alex, Benjamin, Nicholas, and Samuel. She was one of 11 children and is survived by her brother Silvio Caballero of San Lorenzo, Paraguay. She is predeceased by her husband Gerald H. Swanger II, mother Francisca Lopez de Caballero, her father Atilio Caballero; Sisters Emma, Aida, Venus Caballero, Celsa Diaz de Caballero, and Rosa Torres de Caballero; brothers Nicolas, Oscar, Antonio, and Carlos Caballero. Manuela came to the United States first as a student and then as the bride of Gerald H. Swanger. They met by chance at Geneseo State University. She doted on her only son Carlos and supported and defended him throughout her whole life. 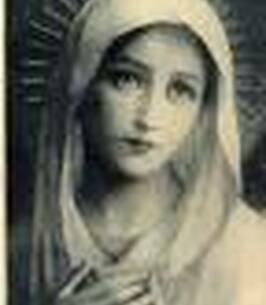 Unsuccessful in three preceding pregnancies before he was born, she prayed to the Virgin Mary for her intercession and her prayers were ultimately answered. A science teacher in her native Paraguay, she pursued a degree in early childhood education at SUNY Brockport. She spent many years teaching at daycare centers in Brockport. She later went back to school at SUNY Brockport to attain her master’s degree in counseling. She then devoted herself to serving as a counselor to many migrant children and adolescents in the Brockport Central School district with the Brockport Migrant Education Program. She loved the migrant community in Brockport and thought of all of them as her extended family. In her last years she suffered from dementia. She continued to love to tell stories and particularly remember her childhood in Paraguay. She never completely got over the loss of her mother in 1979 and spoke of her often. Her soul is now free to be with her and all her family in the presence of the Blessed Virgin and her Lord and Savior Jesus Christ. Friends may call Thursday 4-7 PM at the Alhart Funeral Home 3068 W. Main St. Caledonia. Her Funeral Mass will be held Friday 10 AM at Church of Nativity of the Blessed Virgin Mary 152 Main St. Brockport. Interment Mumford Rural Cemetery. In lieu of Flowers Memorials may be made to Brockport Migrant Educational Project 350 Campus Dr. Brockport NY 14420 or to the Church of Nativity. To share a memory or Condolence Please visit alhartfuneralhome.com. We encourage you to share any memorable photos or stories about Manuela. All tributes placed on and purchased through this memorial website will remain on in perpetuity for future generations. Our precious Manuela has finished her journey in this world and is overjoyed to be celebrating her eternal life with her Lord and Saviour, Jesus Christ, Blessed Mother Mary, her beloved husband, Gerry, her parents, brothers and sisters, and her many, many friends who proceeded her. Manuela brought joy and laughter to all who knew her and shared her love of her faith to all who came to know her. We are most grateful that you were in our lives, dear friend, and we will look forward to laughing with you again one day in Heaven. I worked with Manuela in the Brockport Migrant Project for ten years. She was a wonderful person, and such a champion for migrant students and families. I remember going with her on a home visit to one "my" families because we suspected child abuse. I had no idea how to deal with this, but she was calm, collected and firm. Thank goodness she knew what to say and do. She always had a smile and pleasant outlook and was a delightful person. My life is richer because I knew her. Deepest sympathies to Manuela's family. I worked for many, many years with Manuela with the Migrant Program and always treasured my conversations with her on my rides with her to visit families near and far. She was an inspiration to many and to me, personally, as well. She spoke of her life in Paraguay and so often of her family. She enjoyed a well-lived life, and we are all truly blessed to have had her among us.